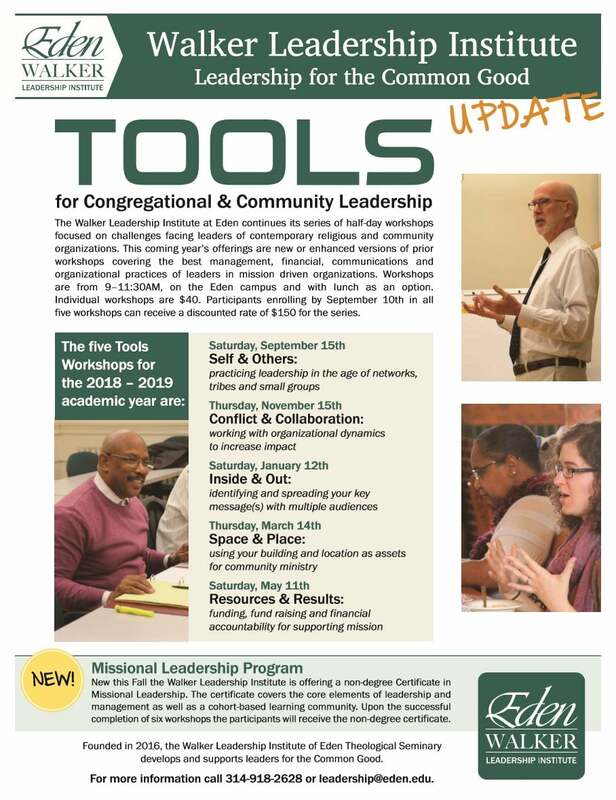 The Walker Leadership Institute at Eden continues its series of half-day workshops focused on challenges facing leaders of contemporary religious and community organizations. This coming year’s offerings are new or enhanced versions of prior workshops covering the best management, financial, communications and organizational practices of leaders in mission driven organizations. Workshops are from 9–11:30AM, on the Eden campus and with lunch as an option. Individual workshops are $40. Participants enrolling by September 10th in all five workshops can receive a discounted rate of $150 for the series.